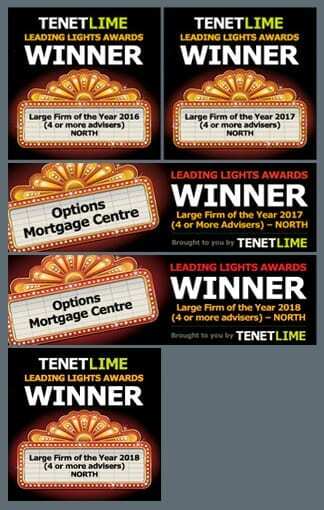 Options Mortgage Centre has grown from the one founding director to having three full time Advising Partners (Richard, Trevor and Graham). Together with Karen our office manager, Jasmin our Mortgage Manager, Michael our Protection Manager and Lorraine our Training & Compliance Manager, we all work together to ensure we provide a first class customer service in a compliant manner. We are also supported by an excellent team of experienced administrators, Shaun, David, John, Sophie & Rachel. Our team of self employed mortgage and protection advisers consists of Steve Moseley, Jane Weston, Mark Daglish, Chris Hulme, Dave Harper, Nick Perry, Pete Burdell and we have two trainee advisers Ben Moss and Carly Lakeland. Options Mortgage Centre came about in 1996. It was started by one of the 3 directors ‘Richard Tingey’ and was originally called ‘Friendly Financial Services’. Within 2 years of setting up the business, Rick decided to expand from mortgages, into: investments, pensions and savings. Rick was introduced to Trevor Thompson who was a business manager for Lincoln National based at Preston at the time. Within 2 years of them working together they decided to set up a partnership as Independent Financial Advisers working between the Topping Street site and offices they had in South Shore Blackpool, both of which had building society agencies within them. As the business evolved they took on a third partner who worked with them for ten years, he eventually left and went in to the alternative investments and commodity markets. In 2008 we were doing business with Graham Wilson who at the time was senior mortgage adviser within Santander. Across the years it was decided that Graham would be better suited to working alongside Options Mortgage Centre as a self-employed IFA. Graham commenced working with us from 2011 onwards. Within two years Graham Wilson’s abilities and desire to drive the business forward was recognised and he was asked to join Options Mortgage Centre as a director and business partner in 2013. We have a combined experience in years across all the team members of 250 years’ in financial services & across the team we convert on average up to 1,500 mortgage applications per annum alongside insurances to support the customer in the event of the unforeseen. Our head office on Topping Street Blackpool houses all our administration, two of our senior advisers and all three directors. We have been in the same offices, with the same opening times for the last 18 years. We have got more than four thousand live and returning regular clients. All other advisers work between estate agents, accountants, solicitors and home visits and although we work typically within a sixty-mile radius of our head office, we have advisers based in Blackpool, Preston, Bolton, Merseyside & Manchester. We also work nationally for any customer that wants our service proposition via Telephone, Video Conferencing & Email. The Options Mortgage Centre ethos is to offer the best service that we can and ensure that the customer gets the best quality offering available. All our advisers are handpicked and should come from experienced and compliant backgrounds. Advisers must also be able to demonstrate a thorough understanding of our market place. When Richard Tingey originally set up the business it was because he was personally dissatisfied with the services offered by the tied adviser & the lack of understanding of the people that do not fit on a standard one size fits all mortgage application.